WINFIELD – The grandson of the founders of a Poca funeral home is suing the current owners, who already were facing legal troubles. J. Michael Gatens III filed his lawsuit Feb. 12 in Putnam Circuit Court claiming Chad Harding owes him $113,000 on a promissory note as well as interest. 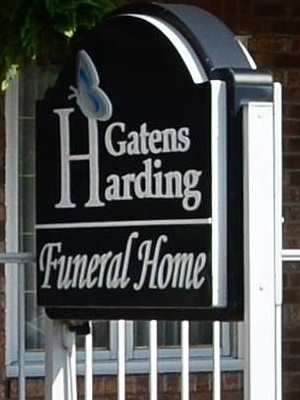 Harding is the owner of Gatens-Harding Funeral Home and has been accused of falsely reporting 111 deaths to an insurance company, allegedly to collect pre-need funeral services. In August, Iowa-based Homesteaders Life Company filed a federal lawsuit claiming the funeral home falsely reported the deaths of 111 people who had signed up for pre-need funeral services and collected more than $900,000 from the insurance company. In their answer, the Hardings deny any wrongdoing and seek to have the complaint dismissed. In his new complaint, Gatens seeks compensatory damages for Harding’s breach and fraud, punitive damages for Harding’s fraud and misrepresentation, court costs, attorney fees, pre- and post-judgment interest and other relief.